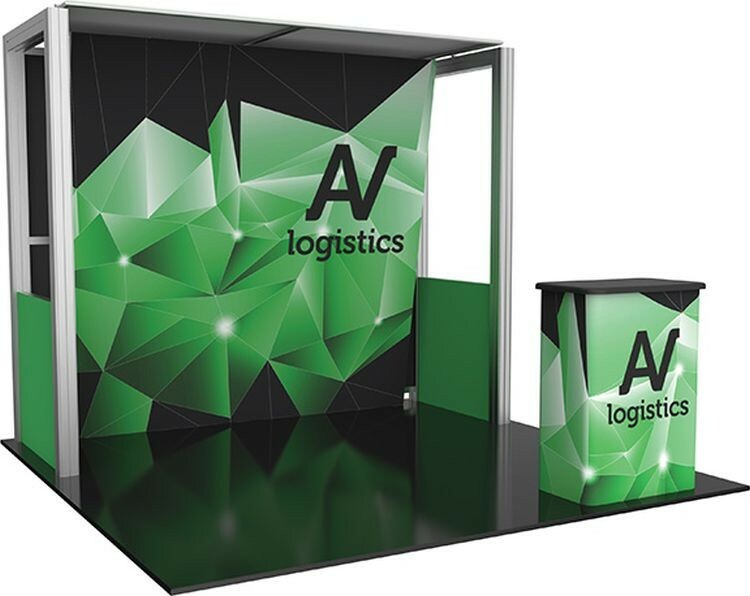 Hybrid Pro Modular Kit 04 is the perfect 10ft x 10ft inline display solution for the serious exhibitor. Kit 04 combines heavy-duty aluminum extrusion frames and push-fit SEG fabric graphics for a stylish and finished look, and the stylish canopy and half walls create a semi-private, enclosed feel. Foreground counter sold separately. Count on making an impact with Hybrid Pro Modular 10ft x 10ft Kit 04.